Francesco Librizzi Studio, founded in Milan in 2005, is involved in architecture, interiors, exhibition design. His projects explore the relationship between the existing architectural heritage and the construction of new spaces within it. Significant in this regard the Italian Pavilion at the XII Biennale of Architecture in Venice in 2010 and the Pavilion of Bahrain for the Biennale of 2012. The work on the essential features of the space is the basis of the projects for the Milan Triennale, as the exhibition "Gino Sarfatti: il design della luce "(2012)," Munari, percorsi a mezz’aria "for TDM6 (2013), and the installation "D1" for the exhibition" Rooms. New phi-losophies of living "(2016). The works realized over these years like Casa G, Abitare magazine n. 538 cover project, have met with great public and critical success gaining visibility on the international media as Do-mus, Abitare, Lotus, Wallpaper, Dezeen. Among the awards the Prix Émile Hermès (2008), the Honorable Mention Compasso d'Oro (2014), "AZ Awards 2015 Best Residential Interior", "Award Archmarathon 2015 Private Housing." 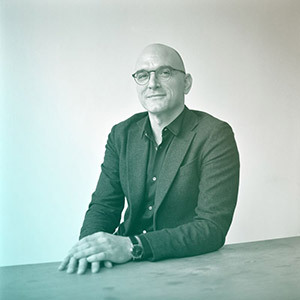 Since 2008, Francesco Librizzi collaborates with universities and design academies in Italy and abroad. He currently holds the position of Guest Professor at the Master Urban Vision and Architectural Design and at Master Interior and Living design at Domus Academy and at the Faculty of Architecture of Genoa.